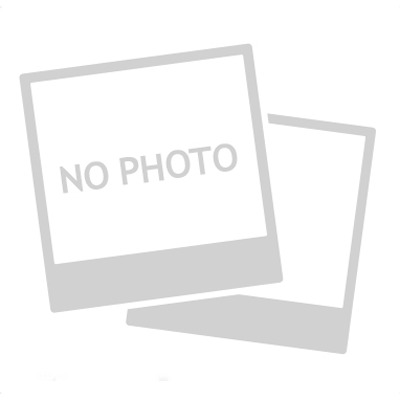 7" TFT monitor, touch screen, memory block on SD card, video doorphone with 2 panels + 2 cameras, PAL/NTSC, panel lock, up to 4 AVD-405/410/705/709/710/715 monitors in parallel, additional video output to the monitor, 2 NO alarm inputs, compact design, white / black, 100-240V power supply, 200x140x16 mm. Video motion detector, improved screen. 16GB SD card as a GIFT!!! 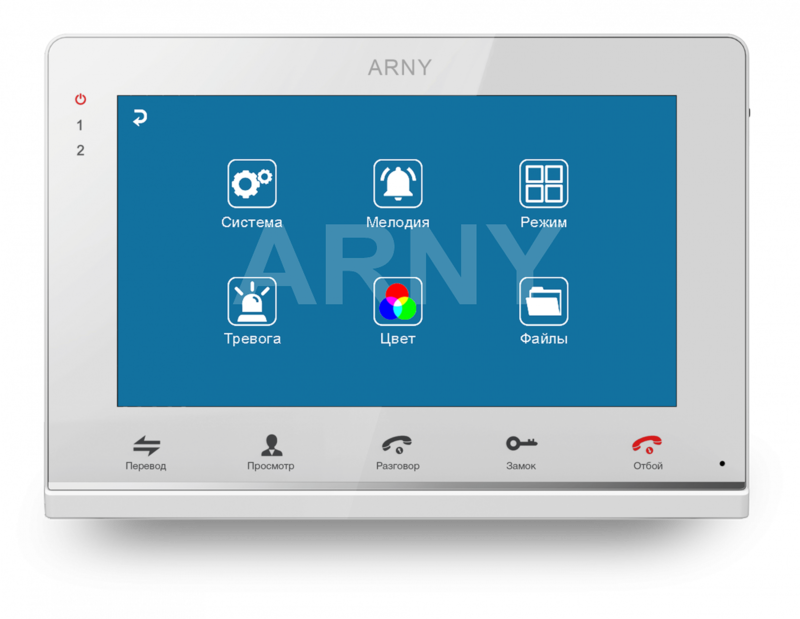 ARNY AVD-715M is one of the new models of color video doorphones in the range of the ARNY brand. This model has a compact size and a modern design. It is equipped with a touch TFT display with a diagonal of 7”, input and output connectors for connection of 2 video panels, 2 PAL / NTSC video cameras, additional monitors from ARNY AVD line, motion sensors and external screen. The presence of built-in memory and a slot for micro SD card allows the user to record and store photos and video images, as well as voice messages from visitors. A modern model with a big touch screen, a hands-free audio communication system and convenient control buttons. Basic functions are standard – to see and talk to a guest, remotely open the lock. Two inputs for connecting call panels and two inputs for analog video cameras allow to use additional devices to monitor several areas. Connection of additional monitors allows to use the system from different rooms. 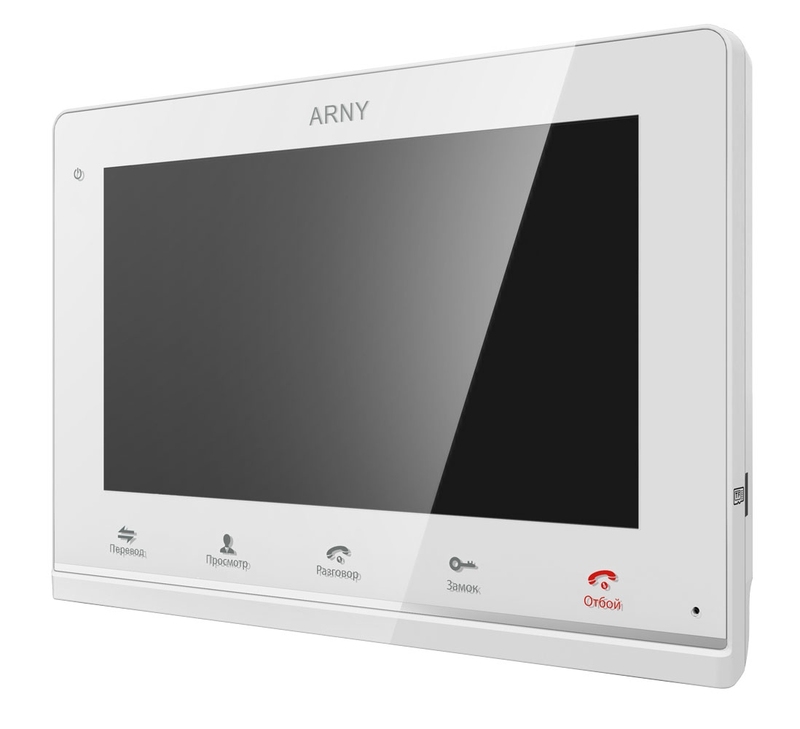 ARNY AVD-715M video doorphone has built-in memory for storing 100 photo images and a slot for micro SD cards with a capacity up to 16 GB. If the card is installed, the device allows you to record video clips. Recording can be done manually in the monitoring or talking mode, automatically when a call comes in from the visitor or in response to a signal from a motion sensor. In addition, the visitor has the opportunity to record a voice message, if he/she came in the absence of the hosts. You can configure the video doorphone with the help of OSD menu or buttons on the side border of the device. You can adjust the volume, set the ring tone, select the display mode and motion detection, adjust the image and shooting parameters.